Grint will play the title role of Clyde, the well-meaning and sweet yet slightly neurotic guy who never feels like he really fits in. The avid comic book reader considers himself a borderline agoraphobic with mild to severe anxiety issues who wishes he were a super hero himself. When Clyde inherits a $100,000 a month inheritance from his long-dead eccentric Uncle Bill, he decides that the cash will be his secret super power and will use it only for good and reward the good-hearted. This could be great, or terrible. It all depends on tone. Either way, we like the idea of new, original programming. 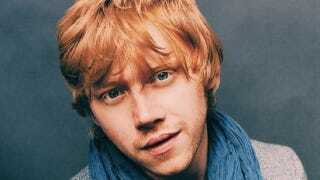 Plus Grint is nice to look at.